Captain of Indian cricket team Virat Kohli cars collection list is updated. There is a huge list of car collection of Virat Kohli in his garage. 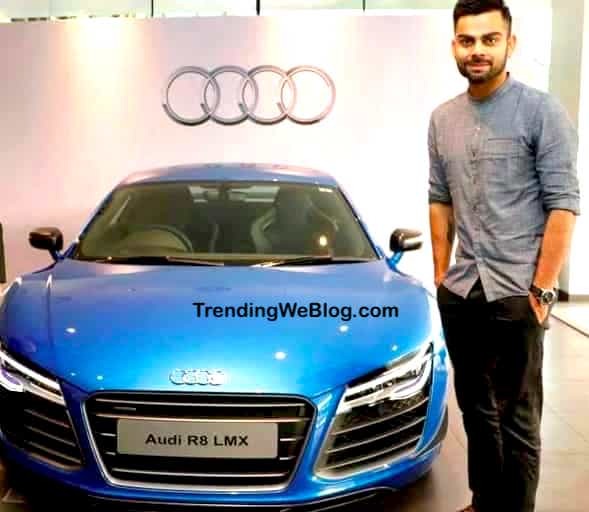 Virat Kohli is a brand ambassador of Audi in India. Beside these love SUVs from Land Rover and Toyota. Here is a list of Virat Kohli cars collection. Our caption is busy breaking record every single day. We thought to enter the garage of Virat Kohli. He is one of the richest sports people in the world. 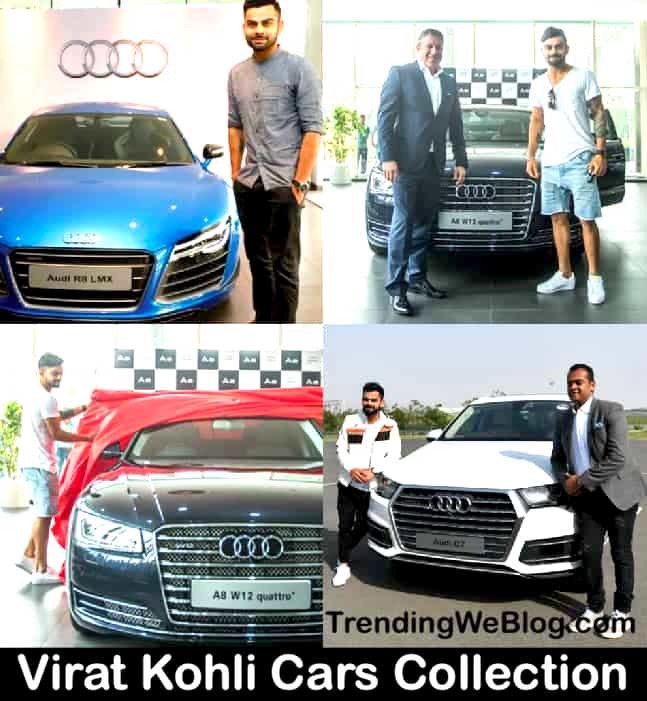 After the marriage the car collection of Virat Kohli got an increase, but if we talk about only Virat Kohli cars collection everyone will be surprised. 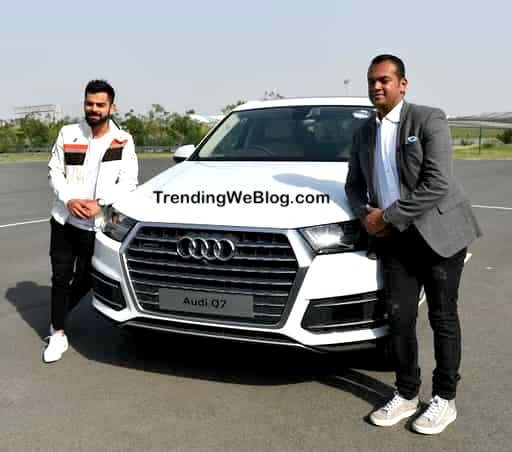 Recently Audi India gift Virat Kohli a brand new Audi Q8. Recently he was seen driving Range Rover Vogue, 2 Audi R8 old and new generation, Audi Q7 old and new model, Audi A8 and Bentley Continental GT. Today we will let you know the complete list of Virat Kohli car collection. This car collection is just for Virat Kohli. The captain has recently brought a brand new Bentley Continental GT. It will get head display is big, bright and very useful while you’re driving. The new Bentley Continental GT can go 0-60 mile in just 3.6 seconds. Under the bonnet, it will get 6-litre w12 twin turbocharges petrol engine. In one tank you can go up to 450 miles i.e 724 km only. For better visibility, Bentley has offered diamond cut headlamps. It is a new addition in Virat Kohli’s garage. It is the fastest car in Virat Kohli line up. It is top of the line supercar which cost around Rs 3 crore. The power of four-wheel via a Quattro all-wheel-drive system. Audi made 99 united of LMX in the world and Virat Kohli owns the only one in South Asia. The car can hit 0-100 mph from a standstill in just 3.4 seconds. It can hit a top speed of 320 kmph. Another highlight of the car is laser headlamps setup. It is defiantly one of the most desired car just because of the limited edition model. 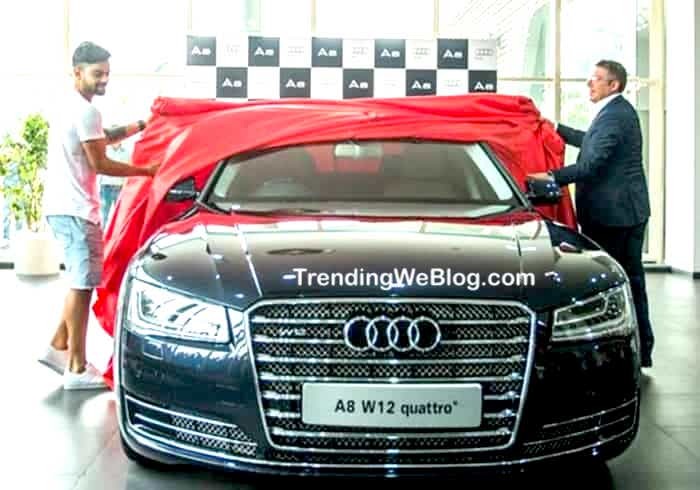 Another biggie in Virat Kohli cars collection is Audi’s flagship limo A8L W12 Quattro. This is one of the most spacious saloon every made by Audi. This is called powerful limo with a sticker price of Rs. 1.98 crores. 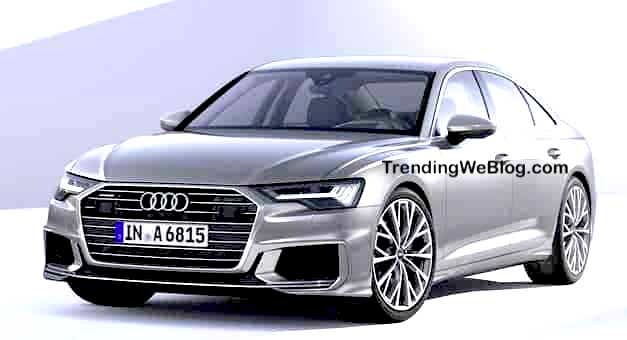 It will get 8-speed, dual clutch, S-tronic transmission that will power 4W via a Quattro system. It will generate 494 BHP and 625 Nm of torque. 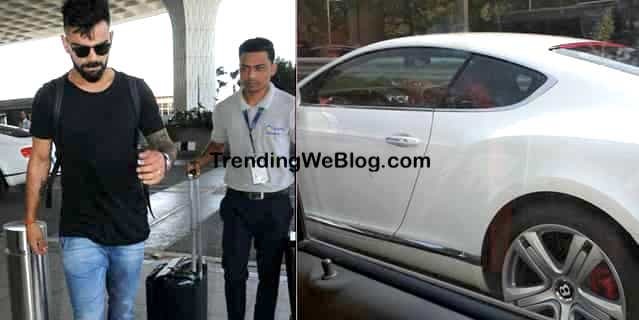 After the marriage, Virat Kohli was seen driving Range Rover Vogue SE. Many a time he was seen with Anushka Sharma. It is a top end sports variant which will get 4.4 Litre SDV8 engine. Vogue comes with 8-speed automatic transmission and can hit 0-100 kmpl in 6.9 seconds. It cost around Rs 2.27 crore ex-showroom Delhi. The old versions of Audi Q7 are still in the garage. It was best in class Audi a few years ago. It was rigid and ready to go anywhere at any time. 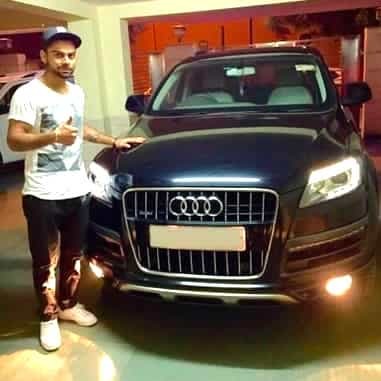 From a long time Virat was not seen in his old Audi Q7 but still, this SUV has a place in Kohli’s garage. The 3.6-litre diesel engine is mated with 8-speed automatic transmission. 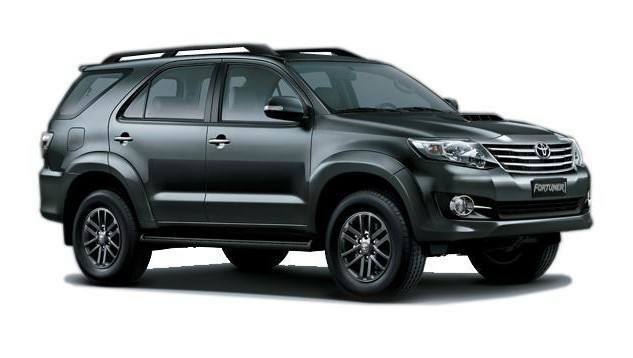 Most people don’t know that Virat owns an old generation Toyota Fortuner. Basically, Toyota Kirloskar India gifted Toyota Fortuner to Virat as he endorsed the product for the brand. It was signed in the agreement as well. Gifts and achievements are always priced less, this is why Renault Duster holds a spot in Virat’s garage. Top of the end variant was won by Virat for his best performance in an ODI series against Sri Lanka in 2012. He got “Man of the Series” award. The captain of Indian Cricket Virat Kohli Cars Collection is just breathless.